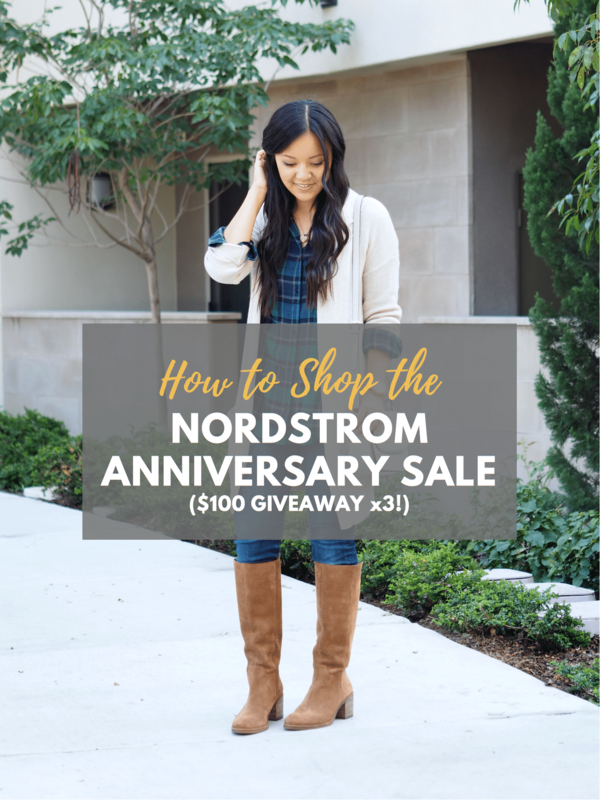 Nordstrom Anniversary Sale: Why You Should Shop It + GIVEAWAY! The much anticipated Nordstrom Anniversary Sale begins next week! I cover this sale every year, and today I want to prep you with what it is and why you should shop it. WHAT IS THE NORDSTROM ANNIVERSARY SALE ALL ABOUT? WHEN DOES THE SALE HAPPEN? WHAT KINDS OF THINGS ARE ON SALE? Think fall clothes, since this sale is for new arrivals for the coming season. What I most love to shop for are boots and booties, jeans – get the best jeans discounted(! ), tops, bags, activewear, makeup, and home decor. This year my husband is really excited to shop the men’s clothing. 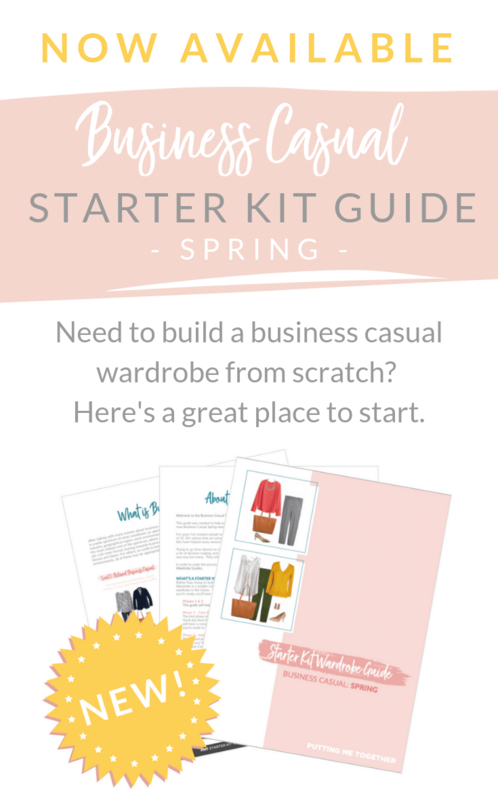 You can add kid’s clothing to your lists too! The best Wit & Wisdom Ab-solution jeans go on sale in several colors each year! The long cardigans that I get asked about ALL THE TIME, every year, without fail. Don’t miss out on these! This throw blanket – Addie loved it so much that she stole mine. I need to buy another! HOW CAN I SHOP THIS SALE THE SMART WAY? Make a list. The sale can be overwhelming, so get focused with a game plan and a list. It’ll help you make better purchasing decisions too! Shop Early Access. Did you know the sale opens 1 week earlier to everyone who has a Nordstrom card? Items and sizes sell out FAST, so shopping early is totally worth it. Find out more info, like how you can get a $40 bonus note (!! ), and sign up for one HERE! Shop online. Crowds are crazy. Your size may not be available in store. Some items aren’t even sold in store and are online-only. It’s madness. And, shipping and return shipping is always free, so ordering online from the comfort of your home in your pajamas is the WAY TO GO! Or, order online and use Nordstrom’s curbside pickup (WHAAAAT? YES, that’s a THING!!) so that you can avoid the crowds but not wait for it to ship! HOW CAN I GET THE BEST STUFF? Get Early Access by signing up for a Nordstrom card HERE. You get to shop 1 week before everyone else, and it really is worth it! 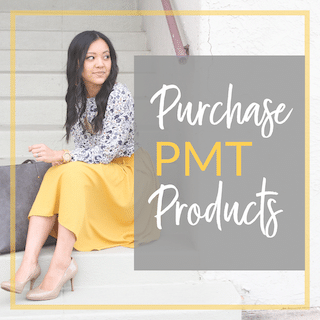 PMT Emails – This is the best and most surefire way to know about posts and sales highlights as they will be delivered right to your inbox. You’ll never miss out this way! Sign up HERE. Facebook – I post more often here than anywhere else! Instagram / Instastories – Another place I share highlights. Try-on sessions will be posted on Instastories! Tell me what you’re looking for. If I know what the majority of PMTers want, I can prioritize that when shopping and sharing. Comment here telling me what you’re looking for so I can help you! And be sure to follow through PMT Emails so you don’t miss it. Thursday, July 12th – Early Access opens. I’ll have scoured the sale and post here with my First Glance Favorites. Friday, July 13th – Try-on session with reviews! I’ll brave the crowds on the first day so that you don’t have to, and I’ll review items with material, quality, fit, and sizing info. 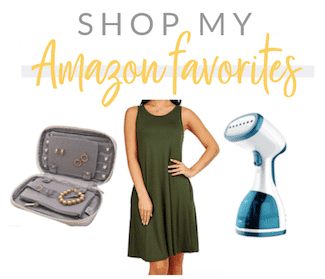 GIVEAWAYS: $100 NORDSTROM GIFT CARDS x3 + MORE! I’ll be running giveaways through out the entire 3 weeks of the Nordstrom Anniversary Sale. Nearly every blog post between July 12 – August 5th will include a giveaway, even if it the post has nothing to do with the Nordstrom Sale! Each giveaway will only last for a day or two, so be sure to stay updated on posts! For the first one, I’m giving away THREE $100 Nordstrom Gift Cards! All you have to do is sign up for PMT Emails! If you’re already subscribed, no need to do anything else. NOTE: PMT Emails are *not* the same as the old RSS feed. Your emails should look like THIS. If they don’t, sign up HERE and unsubscribe to the old RSS feed. Three people will be chosen at random from the subscription list. Winners will be announced in the PMT Email that goes out on July 12th, the first day of the Nordstrom Sale’s Early Access. 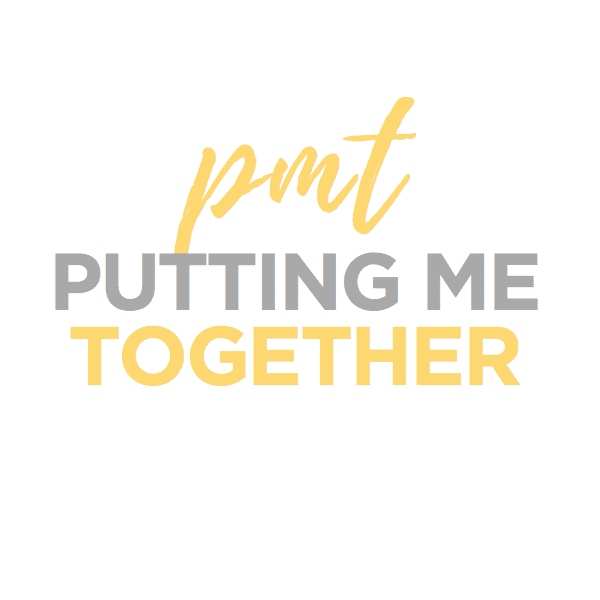 Sign up for PMT Emails below! Get the latest blog posts, style tips, outfit inspiration, new releases, special sale alerts, exclusive giveaways, and behind the scenes peeks! 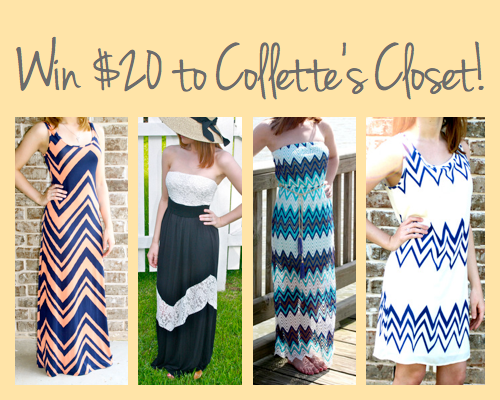 Win $20 to Collette’s Closet! 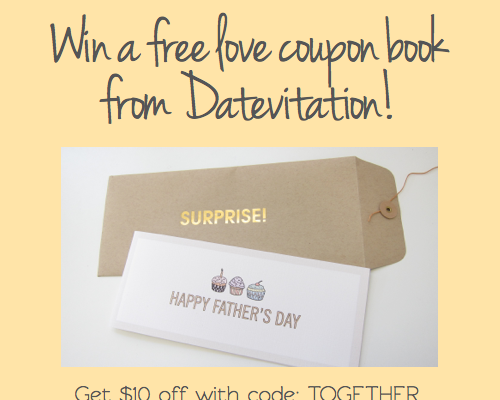 Datevitation Giveaway & Discount – Great for Father’s Day! I shopped the sale last year but didn’t have the card so several things I wanted were sold out. Going to sign up for the card this year! Thanks for letting us know the best stuff! The card is great too because you can earn 2 points for every dollar spent all year and earn Nordstrom notes through it. Plus getting Early Access! Also – you don’t have to sign up for the credit card, the debit card works for the sale & early access as well! Do they still have that? From what I understood from last year, they got rid of the debit card option. Would be awesome if it’s back!! WOW, I did not realize that it was not still an option. I signed up for it with the Anniversary Sale in 2016. My purchases come straight out of my checking account, and I love that! Same!! That’s when I signed up too, I think. Either that or 2015. I really wish they still had this option. I refuse to open a credit card just to shop the sale early – even if you pay it in full every month, increasing the amount of credit you have available can impact your credit score. And, lets be honest, Nordstrom is doing this because of the people who will carry a balance. So, while I love this sale, this entire part of it feels a bit icky and predatory. Hi! as amazing as the dresses and very high heeled boots are, I’m a stay home mom, so I will need lower heeled shoes and more casual clothes. Thank you! You got it! I don’t think I’ve ever even tried a dress from the Nordstrom Anniversary Sale haha! I’m allll about the jeans and boots. And I’m with you on the lower heeled boots. My best purchases from the #nsale last year were the Blondo booties! My most worn items of the fall and winter. Looking forward to seeing your coverage this year, would love to see what’s trending in denim and shoes! Are the items available to add to your account wishlist even before the sale opens? I’d like to make a list and quadruple check my budget, but when I click on them in the catalog there’s no “add to wishlist” option at all, does that make sense? Are you also experiencing this issue? The best gets for me are definitely sweaters, shoes, athleisure, and jeans. 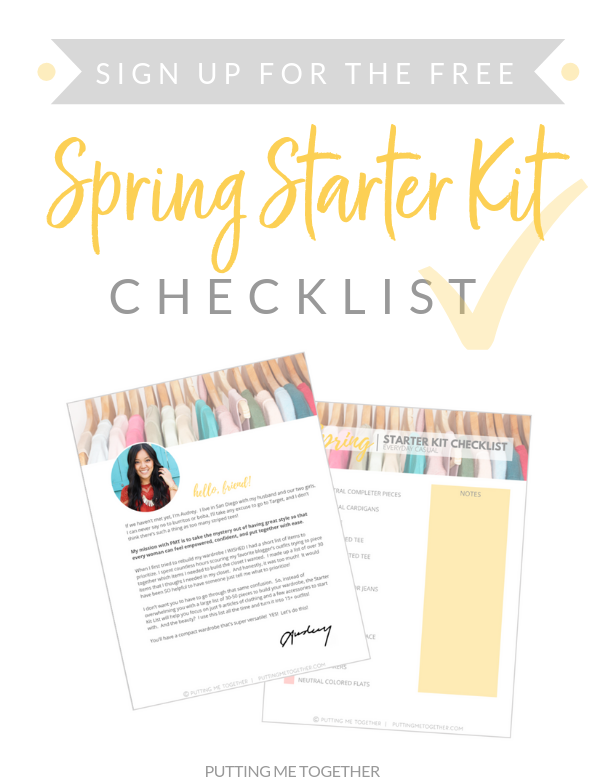 You also are one of the bloggers that focused mainly on the < $100 items, which I appreciate and I'm sure many others do too! Even if an item is discounted from $400 to $200 that's still way way outside what I can spend on a single item of clothing, haha. Hi Caitlin! I WISH there was a way to add to your wishlist before the sale opens. It would save me a ton of time for First Glance Favorites! But unfortunately there’s no way and I’ll just be waking up at the crack of dawn to scour the pages and whip up a post! I *think* you can add to your wishlist once Early Access opens if you’re not a cardholder, but I’m not positive. I’m so glad that the price range was helpful. I don’t really care for $200 items either, unless MAYBE MAYBE MAYBE for a pair of tall boots. They’d have to be exactly what I’m looking for though. And maybe $100+ for a pair of jeans, but they’d also have to be stinking amazing! so if I have stuff on my wishlist it won’t update the prices when the sale opens? what about shoptagr — will that work to show discounts when they are taken? The sale is for new items, so they’re not even on the site yet. The items that are part of the Anniversary Sale won’t appear until the day the sale begins. 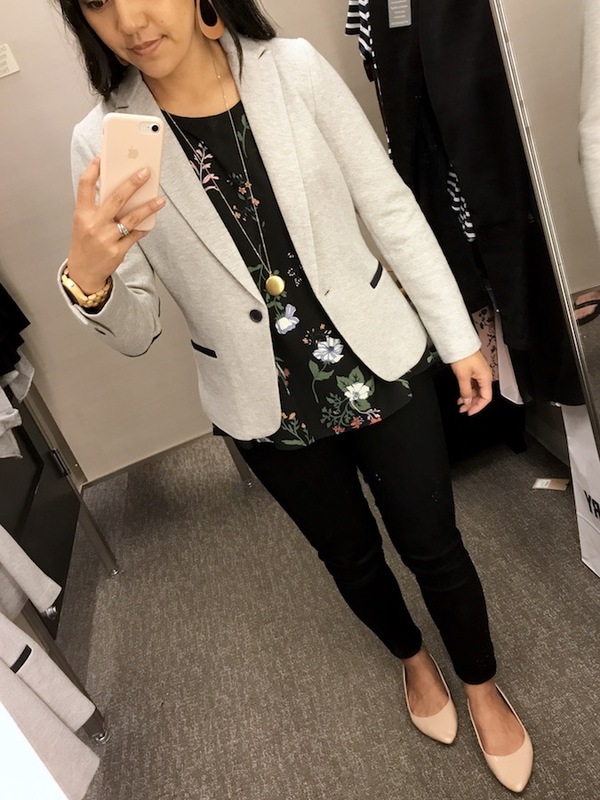 Love Nordstrom and after changing jobs last fall with a more dressy attite required, I am looking for pieces to mix and match to expand my basic closet. Under <$100 is super helpful. Looking for dress pants that work for taller people, and a tunic/dress for a long torso that could be layered over tights and boots. I think I may be braving the sale but I am looking for sweaters. It doesn’t get cold in NC till like November and those are what I really need. I would love to see some basics like jeans, t-shirts, cashmere sweaters, etc. in plus size options. Maybe you have a friend you could take along? And definitely yes to items under $100! Lastly, I would love to see some accessories that can elevate your outfit. Scarves, jewelry, etc that can be worn with jeans and tees would be great. Thank you! I second plus size options. 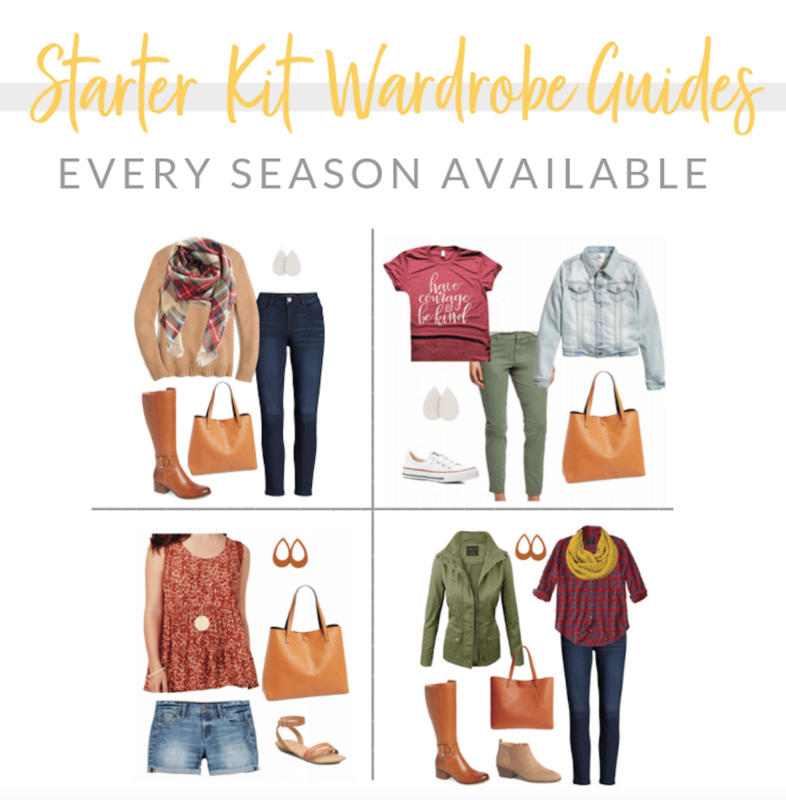 And ideas for those of us in the far south who love fall and winter looks but don’t have winter temps! I MUST get my hands on one of those knit blazers! I hope I remember. Actually, a list is probably a good idea. Going to make one right now! Thanks for doing this! Your posts are always so helpful! I’d love some dress pants ideas (my khakis and gray pants are getting bleh) and sweaters. I bought the dreamers with the inside out hem and the long cardigans last year and LOVE them. Hoping there are more 🙂 I may try a blazer too! I am looking for comfortable work shoes, not necessarily boots or booties but something that will work with dresses and skirts too. Always on the hunt for a great fall jacket and “it” bag of the season! 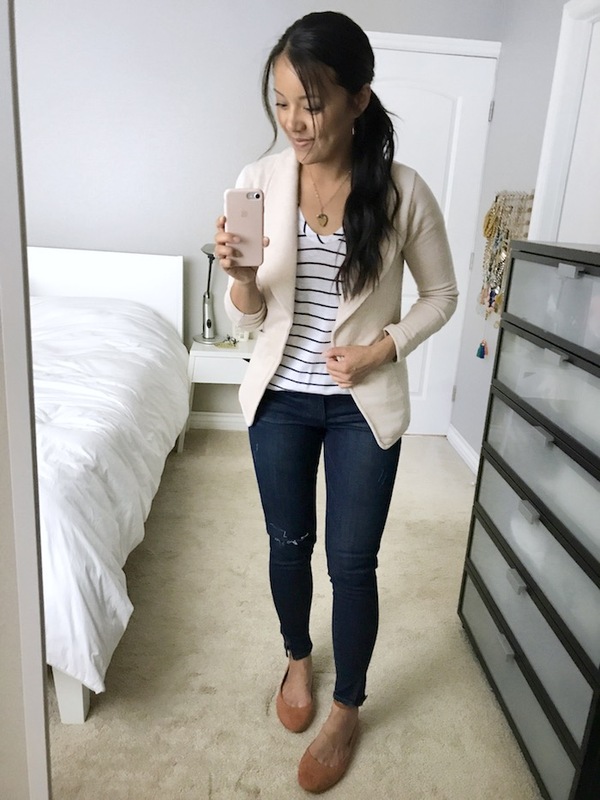 Help me find comfortable office work shoes and outfits which are especially forgiving for a post baby bod… that dang tummy still sticks out and shows signs that a whole human was stuffed under. Ha! Also, do you know if the big tote bag you carry a lot (reversible faux leather) will be on sale? I have my eye on it! Hi Megan! I’ll definitely try on some business casual stuff. I’m not sure about the tote, but in years past it’s never been on sale. I just found that reversible tote on Postmark used for $15! I would check there! Hey Audrey, I’m looking to buy a good classic trench coat and would love your input on this sale! Oof! Where i live we don’t need trench coats, so i don’t know what to look for as well as i do for something like a pair of jeans. I might be able to find something cute but won’t have a clue about how it’ll last over time. I’ll do my best though! 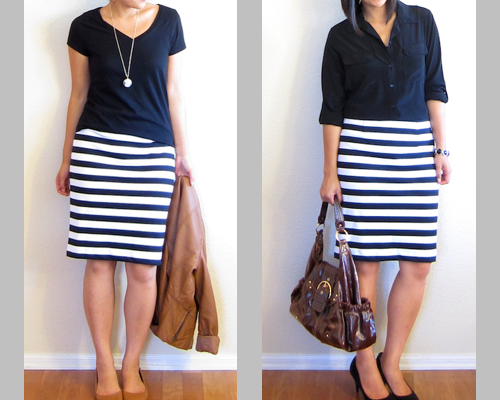 I’m looking for tops that can be worn over A-line/full skirts! 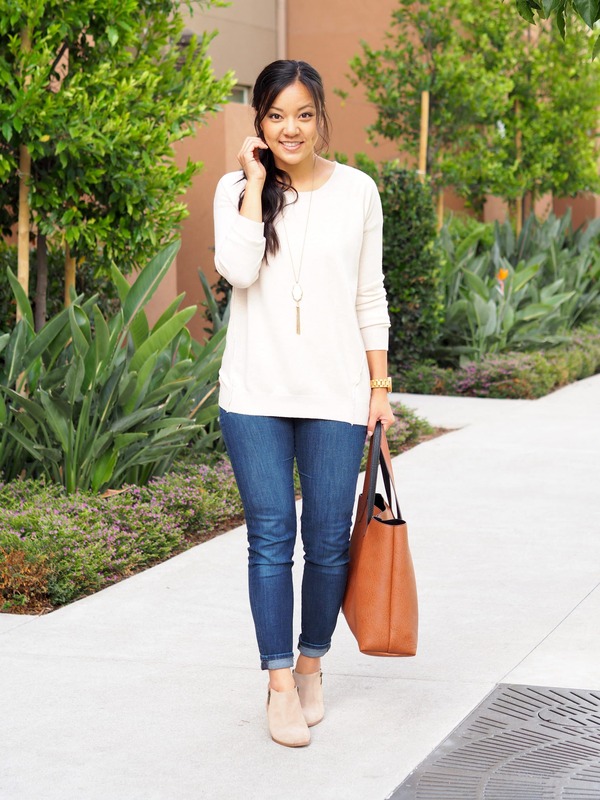 Light sweaters are also fine, tucked or untucked… but it’s been really hard to find the shorter length or right drape/fit to balance out a fuller bottom-half silhouette. I love victorian style blouse/shirts! I am looking for cute but comfy shoes! I walk a lot at work.